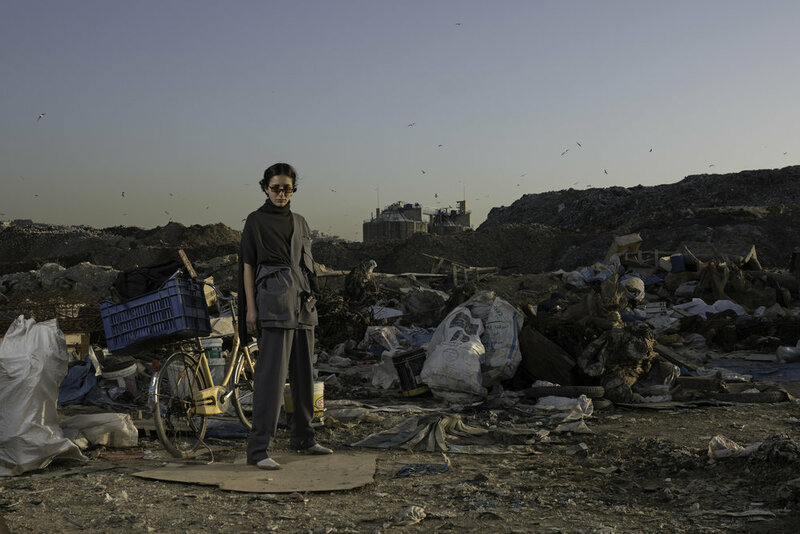 Fashion Trust Arabia just awarded Lebanese designer Roni Helou one of two ready-to-wear category prizes in their inaugural round held at Fire Station in Doha, Qatar. FTA is a non-profit project created to shine a light on talented designers across the Middle East, and under the patronage of H.H. Sheikha Moza bint Nasser, Fashion Trust Arabia is co-chaired by H.E Sheikha Al-Mayassa bint Hamad Al-Thani and Tania Fares, founder of the United Kingdom’s renowned Fashion Trust. This year the top 25 finalists of the 2019 FTA award showcased their collections and gave a presentation to	an esteemed panel of judges that included industry figures Diane von Furstenberg, Olivier Rousteing, Zuhair Murad, Alexander Wang, Victoria Beckham, Farida	Khelfa and Haider Ackermann. Roni was born in Lebanon in 1992, and spearheaded his fashion journey by joining Creative Space Beirut in 2016- a free, progressive institution offering students 3-year fashion design education courses - to learn the craft of creating garments. Upon graduating, he was supported by Starch Foundation for two seasons and showed his collections at FashionForward Dubai. Co-founder and Director of Creative Space Beirut, Sarah	Hermez spoke about the FTA initiative. “I think Fashion Trust Arabia	is a wonderful, supportive platform for young, emerging designers of the region,” she noted. “By providing these talents with a strong foundation, FTA is enabling Arab designers to move forward in their careers all while placing them on the international fashion design spectrum." Roni Helou is an example of modern day educational and funding systems breaking the mold, and redefining what we see as the ‘correct’ path for people looking to enter the realm of fashion. This is a brand that advocates for free education, sustainability and animal rights; reflecting not only a modern cultural renaissance but the ideals of a woke generation and the image of a region reborn.